Gear up your Contraptions with some serious hardwear. 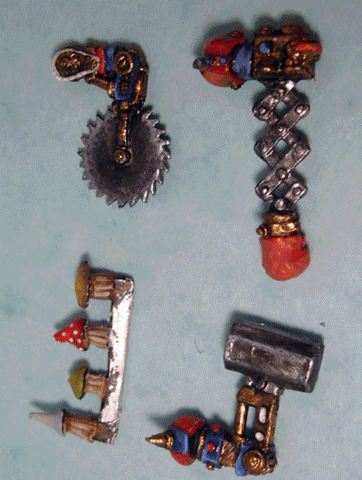 This set of Contraption Arms comes with Bazooka Jo-Gnome, a Sledgehammer Arm, a Buzzsaw Arm, a Spring-loaded Boxing Glove Arm, and a Mushroom sprue. 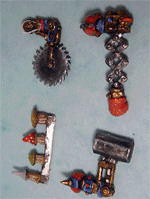 Or use them all with the 0.125 magnets to use all 3 if you wish from time to time.